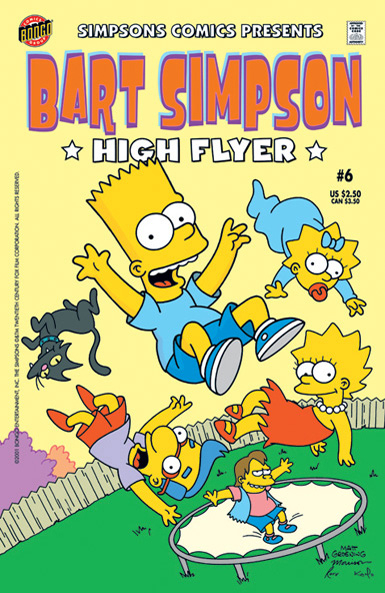 Bart Simpson Comics 6 was released in USA in November 2001. 1.1 The Supercat of Springfield! 1.2 Bart Simpson and Milhouse Van Houten in: The Invisible Nerd! Main article: The Supercat of Springfield! Bart Simpson and Milhouse Van Houten in: The Invisible Nerd! Main article: The Invisible Nerd!